Emini Dow Jones bounced back 26417 as I write. Further gains targets 26435/440 then 26470/475 before a retest of last week’s high at 26500/510. A break higher targets 26550/570 then 26690/710. Very minor support at 26390/370 then minor support at 26310/300. Expect better support at 26260/240 but longs need stops below 26200. 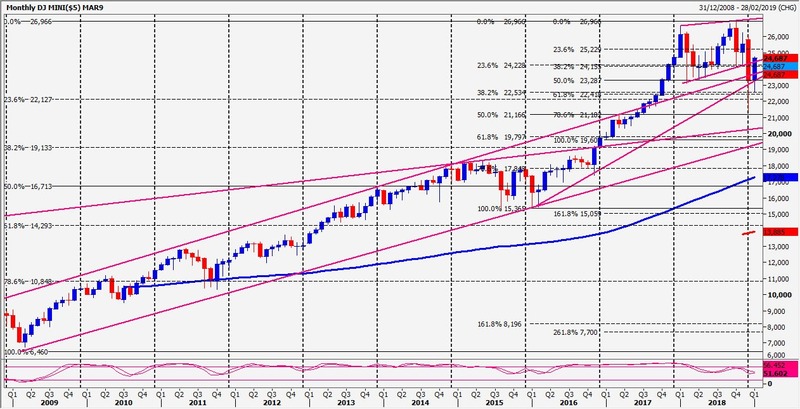 Nasdaq bounce from minor support at 7598/96 rockets straight back to minor resistance at 7655/60. Markets become more volatile in overbought conditions when they top out. Just be aware, but we wait for a sell signal. Minor support at 7645/40 but below here targets 7625/22. Further losses target 7602 then minor support at 7598/96 again. Bulls obviously need a break above 7665 to target 7683/86 then strong resistance at 7695/7705.